Illustration for Stefan Sagmeister's book - Things I've learned in my life so far. The idea was to portray through typography what the inside of thoughts and dreams looks like. the illustration got featured both in the book as well as on the cover and back cover of french magazine les cahiers. 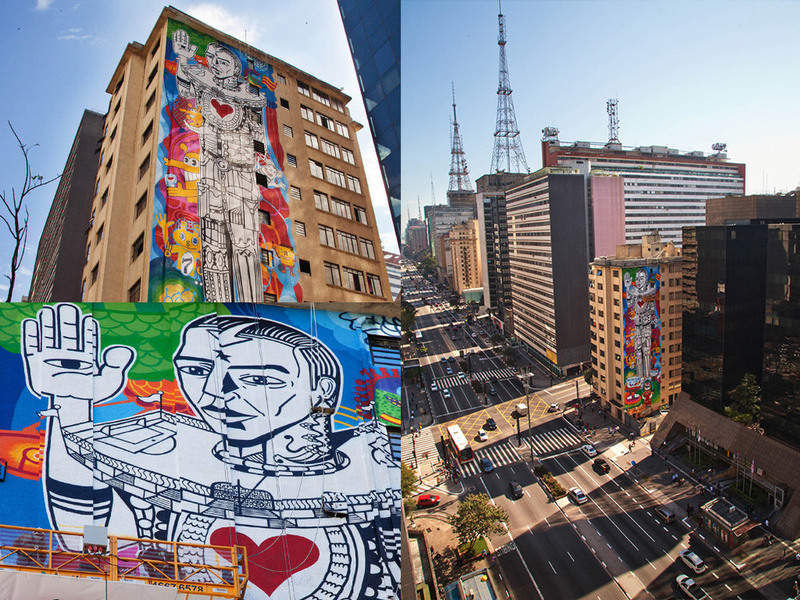 With the help from Sao Paulo's citizens, GE coloured a gray city and turned it into an open sky art gallery. And by doing that, it managed to create a new action for the brand in a city that banned advertising in public spaces. On the internet, people found out about the artists, chose the works and followed live the art being displayed. The artists got inspiration from GE's innovations: trains and turbines, technologies that allow the re-usage of water, pocket ultrasound and wind energy generators. GE. If we can imagine, we can do it.